What should I do now? I ask that question over and over in the dark freezing air of a climbers emergency refuge. Outside the wind-driven snow is curling around my motorcycle. It’s getting dark and I am low on fuel. Stay here at 15,000’ near the top of the Andes or take a chance and ride down through a snow storm to the base camp some 30 kilometers away? What should I do now? Introduction. Part I of this three-part series introduced some fundamental concepts of risk management on motorcycles. In Part II you learned that making tough choices about risk is like looking at a playground teeter-totter. The risk and danger ahead go on one end and your skills and the motorcycle’s capability on the other. If it tips down on the danger side you don’t go or choose a less risky option. If it tips the other way it means your skills and bike set-up out-weight the dangers and you are good to go. But what happens when the teeter-totter stays level? Take A Risk? What does that word “risk” mean anyway? If it is used as a noun it usually means an exposure to danger and the possibility that something unpleasant or unwelcome will happen. A scientist could evaluate the applicable physics and mathematics to calculate the amount of danger as a fairly uniform and constant probability. If A and if B, but not C, then outcome D will occur X times out of a 100. But when humans enter the picture the game changes. Now the word risk becomes a verb: an act or failure to act in such a way as to bring about the possibility of an unpleasant or unwelcome event. Danger the noun, humans the verb. For example, if I jump from a perfectly good airplane am I an extreme risk taker? How about if I ride a motorcycle on a busy street? The skydiver holds a Class A rating (the highest possible) and uses the best equipment available. She never jumps in bad weather and always wears a reserve parachute with an automatic altitude sensing opener. In contrast the man on his new S1000RR isn’t using a helmet because his state doesn’t require one. He’s wearing a black T-shirt and shorts because it’s a hot night. He’s had a few beers while watching the game at the pub but he’s not that far from home. At this speed his eyes are watering because he forgot his prescription glasses. Who do you think is more at risk? The lady falling through the air at terminal velocity only seconds from the ground or the man on a short ride to his house? Whatever your answer can you see that what these people did changed the degree of risk they faced? The preparation or lack thereof lowered the risk on the one hand and raised it on the other. These simple examples illustrate that an extreme risk taker is one who faces danger without appropriate training or equipment and/or who makes poor decisions.I’ll will discuss training and safety equipment is future articles. For now let’s look at one way to decide if something is too dangerous to do. GO / NO-GO Decisions. At some point in every ride you will face GO / NO-GO decision points. This is when you have to decide if you will take that trail or climb that hill or go that fast or call it a day. These are non-control decisions. To go or not is about when, where and how hard to ride not the specifics of what gear or what RPM or to brake or not. Your GO / NO-GO decisions are about ride strategy not the tactical aspects of control function or body mechanics. To make good GO, NO-GO choices requires a rider to consider three things: (1) skills, (2) equipment and (3) situation. The sky-diver in the example above decided to jump after putting the dangers of free fall and weather on one side of the teeter-totter and her equipment and training on the other. 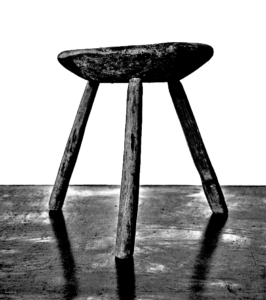 To remember all three parts of a good decision I visualize a three-legged milk stool. The legs are skills, equipment and situational awareness. If one leg breaks (meaning it is over-looked) the stool falls over resulting in a poor-decision. The milk stool and the teeter-totter visualizations work together. To demonstrate how let’s evaluate all the facts you were given in Part II about my situation up in the Andes. 5,000 meters MSL (about 16,000‘ elevation) in thin air. Forecast in error and no updates available. Wind chill index currently around zero degrees F.
Unknown snowfall intensity (total depth). Unknown snowfall duration (hours or days). On my own with no help available close by. Base Camp and next fuel some 30 to 50 kilometers away, mostly downhill. Not familiar with area; limited map detail and few road signs. Now sunset and soon darkness with no star or moonlight due to cloud cover. Off-pavement road conditions but map says pavement soon. Former mountain search & rescue team member, ski patrol, wilderness EMT. Extensive motorcycle training on/off-road with day/night racing/rally experience. 65 years old in good health and fitness but has been riding all day. Partial-paraplegic with limited mobility, can hike short distance with a cane. Possible hypoxia: some mental disorientation with lapses in focus/concentration. Possible dehydration, no urge to urinate. Clothing and all weather boots now maintaining body heat. Overall feeling of fatigue but still ready and capable of more miles. Portable cold-weather emergency shelter on the bike. 48 to 72 hours of survival rations but no cooking firewood available. GPS working and programed for route; paper map back-up. SPOT emergency locator and shelter short-wave radio off-line. 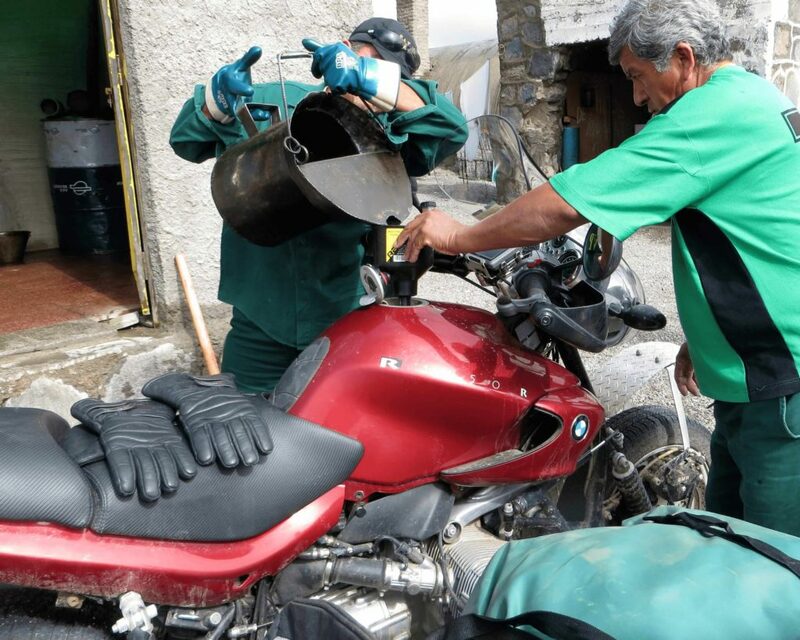 BMW R1150R in top mechanical condition and set-up for these conditions. LOW on fuel but enough to do 50 kilometers. Four liters of spare fuel onboard, good for approximately 40 kilometers. Off-road and fog lights fitted and functional. No additional cold weather clothing available only sumer pants and shirts. No formal trip plan filed but informed officers at border station of travel goals. 1. Stay where I am in the refuge shelter. 2. Continue on to the base station below. 3. Return to the Chilean border station. To Stay: The benefits of staying were immediate and not in question. I have shelter from the storm. There is no heat but at least I’m protected from the icy wind outside. But what if this storm dumps a couple of feet of snow? How long will it be before I can ride out? I have enough gear and food to last for a couple of days. It won’t be pleasant or comfortable but it is possible. I could melt snow for drinking water but it would not be easy because there is no more firewood. No one knows I am here. I was relying on my SPOT emergency locator but it is showing a red warning light. Is there no GPS signal because of a malfunction or the dense cloud cover? It’s not likely the border guards in Chile will call the guards in Argentina to ask if I made it to their outpost. There is an emergency radio built-in to the back wall of the shelter but the push-to-talk switch is missing. Can I access the radio in the wall and fix it? Will the batteries that power the radio be charged? How long will it take to make the repairs? If I spend the time and the radio still doesn’t work will the snow be too deep by then to ride on? What if I lose body heat in the next 72 hours? I can pull a wheel and burn a tire but then I’m stuck here if the storm breaks and the road is passible. It would also be a good signal fire but who would see it? To Go: What if I leave and then can’t find the base camp? But then I realized it was next to the road. If I can just keep moving the road will lead me there. What if I get stuck in the snow or mud? Two things came to mind: I can steer in slippery conditions with my thumb-brake and throttle. It’s mostly downhill from here to the base camp so traction management should be easier than going uphill. What if the snow fall increases? I will be going down the mountain to warmer, thicker air. It is possible the snow will turn back to rain. What if I run out of gas? Not likely but I have survival gear on the bike. I could snow camp in place. Not a good thought; a worst case scenario. The “what if” questions continued in my head until I realized that the teeter-totter was level in both cases. The risks of staying and the risks of going were about equal. Now what? Risk Tolerance. I had gotten myself into a damed if I do, damned if I don’t situation. There was no clear best choice and both options were equally bad. It’s was about this time that fear raised it’s ugly head. Some face fear with anger and boldness. They get mad to start an adrenaline release for the fight ahead. When in doubt, gas it! Others allow fear to take control of the situation. They find a corner and do nothing. As a fireman on search and rescue missions I always looked for children hiding in closets or under beds. Kids hide from the flames thinking that what they can’t see won’t hurt them. These bravado and avoidance behaviors are classic fight or flight responses. As we discussed in Part I there is a better way to make tough decisions. With the proper training and experience we can learn to move our decision-making from a part of the brain called the hypothalamus to the prefrontal cortex. We can learn to avoid fight or flight reactions and make executive function decisions based on logic and fact. Thankfully I have received that training so here in the dim light of the shelter I force myself to do what we do on the bike: SCAN, THINK, ACT. I reviewed all of the details of my situation. I considered the pros and cons of my options. And then– before making the decision– I took a long, slow, deep breath. Sometimes we need to ask ourselves how am I doing? It’s a powerful question because under stress we tend to lose touch with our bodies. For example in competition I learned to routinely do self-assessments at speed for strategic reasons. During rallies or desert races it might be on a dry lake bed, a long sand section or some other relatively smooth surface where I could relax just a little. On the super bikes it was usually on a long straightaway while down behind the bubble at 150 mph+. I would take a long deep breath and let it out slowly. How am I doing? How’s the bike? Can I pick-up the pace or do I need to back-off? Now I’m here on this cold floor asking questions for another reason. Risk tolerance levels move around and I need to find out where mine is now. In the morning when we are fresh, sharp and strong our risk tolerance is usually at its highest level. But as the miles or hours unfold we get mentally, physically and emotionally tired. We are not as able to cope with demanding situations. If we are smart we adjust speed and terrain accordingly. We don’t take on as much and are more cautious. I am cold and tired so I need to be more conservative but I’m under the gun. My decision clock is ticking. I have to make my GO / NO GO choice quickly. The longer I wait the colder it gets. If it gets cold enough the wet snow will turn dry and get deeper. 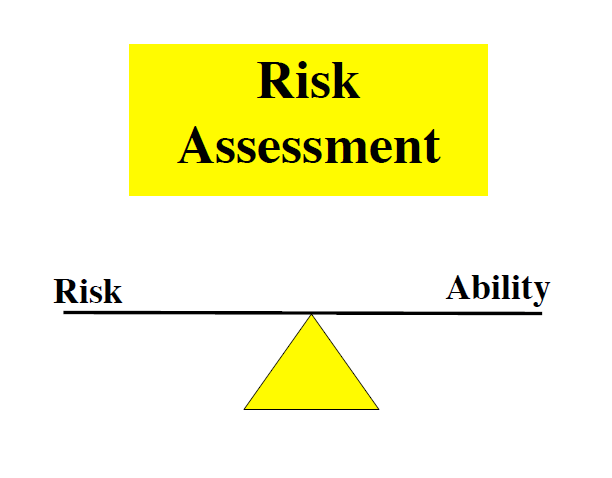 An individual’s risk tolerance is not only based on current condition but also on his or her life experiences and personality. For example, I have lived on the edge most of my life. I’m used to doing dangerous things: fire captain, sky-diver, rodeo cowboy, motorcycle racer, aerobatic pilot, ultra-marathoner, scuba diver. My ability to tolerate tough conditions is not theoretical. If I had had a less challenging life I probably would not be riding solo here in South America. But even with a lifetime of experience and training– and even with the finest equipment– we can only lower the risk so much. How low it has to go before I can accept it is my risk tolerance level. Now I have to get in touch with my current risk tolerance level and choose between two bad options. What Happened Next. While I was sitting there deciding what to do I was eating and drinking. I was doing a micro-recovery like an IronButt rider taking a 5 minute nap on the bike at a gas stop. I asked myself if I ride on what will the next couple of hours be like? The images in my mind were not that bad so I made the decision to go. I packed my pockets accordingly. Anti-fog here; Plexis there. SPOT on and into a side pocket. Flashlight checked OK then into another pocket with power bars and lip wax. Face wrapped in a bandana, ear plugs in, heavy gloves on, zippers closed. As I was doing all that I planned how I would pack when I went out to the bike. I wanted the reverse order of the gear needed to set-up a fast snow camp if I got stuck or ran out of gas. When I stood-up in the dark I was on a mission. There was no question in my mind about what I was going to do next. When you make a GO / NO GO decision it has to be a 100% commitment. If you are going to climb that hill, then climb it! A half-hearted effort is usually worse than doing nothing. I threw my gear out the door then stumbled down the step to the bike. Normally I would have started the bike to warm it up but I didn’t want to waste gas. It took longer to pack and mount than planned because my thick gloves slowed the process. I scraped the snow off the seat and sat down. Key on, fuel lever up and the bike started immediately. I love fuel injection. I lowered my face shield half-way and reached for full grip heat. Left toe down, left fingers out and I stalled the bike. Restart and try again. The wheel spun and spun but slowly found traction and we began to move. The high beam reflected back on the whiteness ahead and blinded me. So down to low beam and fog light on. First gear and then second and then third but it was too fast so back to second. Now it was time to settle-in. I scooted around on the seat to find the magic spot, leaned forward and tilted my chin just right so I could see out through a small open strip between the bottom of my face shield and the bandana over my nose and chin. I passed the base camp but didn’t know it until I reached a barrier across the road at the Argentine border station. The guard who came to the door was mad because I gotten him out of bed. He pointed back up the road and shouted, mañana! Crazy Gringo, come back tomorrow. Great, I thought, I’m going to run out of gas because of a turn-around. 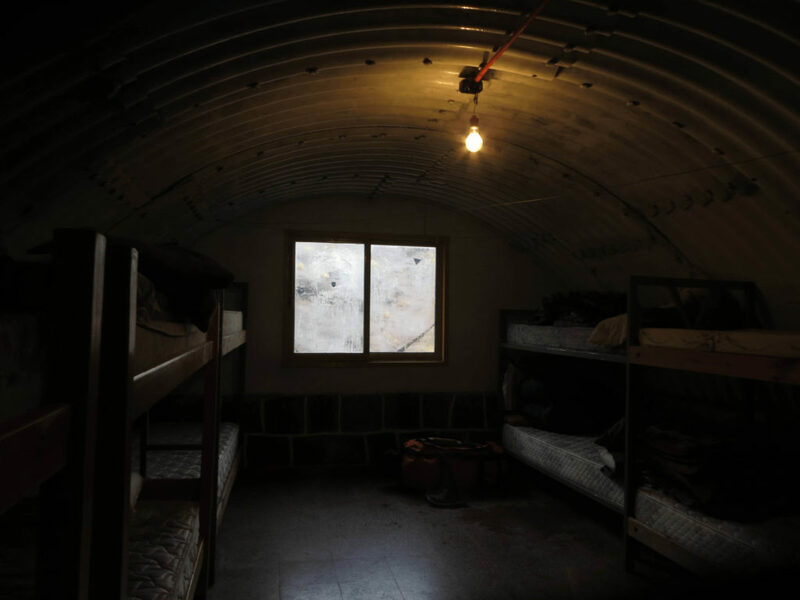 The old quonset hut was hard to see in the snowy darkness. Their generator was off so there were no lights. I rolled up to one end and parked. They couldn’t believe that a guy on a motorcycle was pounding on their door in the middle of the night in a snow storm. They laughed at the crazy man in the helmet and BMW jacket and invited me in. One went to start the generator and another heated water for tea. They wanted to hear my story. An hour or so later I slipped into a bunk in the dormitory. The rings on the metal ceiling above my bunk were wet with condensation. I didn’t care. Post Script. After a couple of days the snow melted and it was time to get back on the road. But before I left I wanted to take firewood back up to the refuge for the next person in trouble. I had called the Argentina Civil Defense Agency to report the broken emergency radio on the back wall. Surprisingly while I in the shelter a service truck pulled up outside. Two guys in sharp uniforms carried in a BIG new battery and a fancy new radio. I smiled. As I drove away I thought, timing is everything. 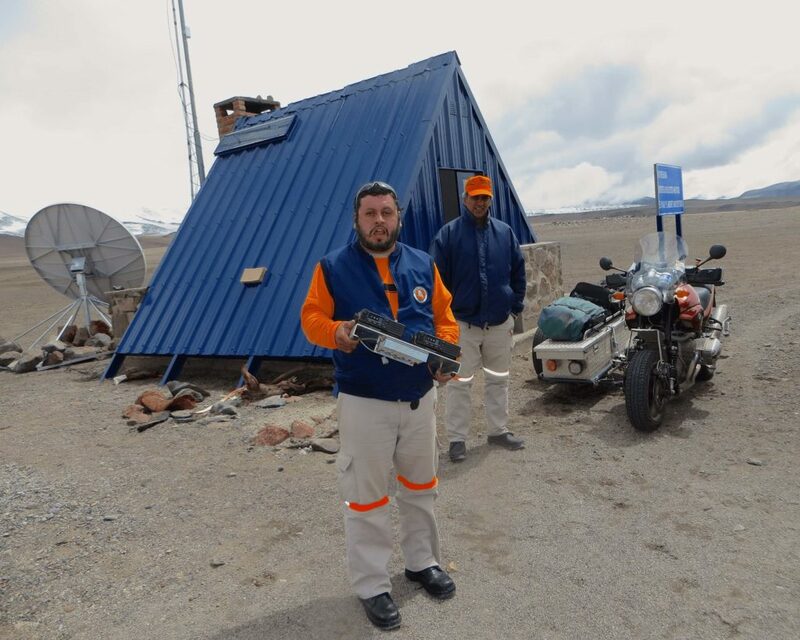 Argentina Civil Defense Personnel Fixing the Emergency Radio after the snow melted. About the author. Ramey ‘Coach’ Stroud is an former off-road racing champion, past motocross rider of the year and currently an around-the-world motorcycle traveler. 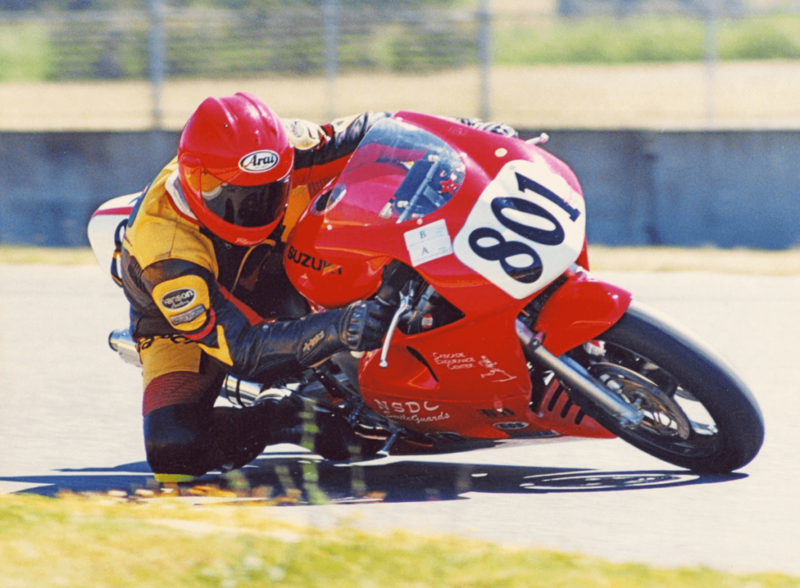 He was recently awarded the BMWMOA Foundation’s prestigious “Individual of the Year” award for his motorcycle training programs and contributions to rider safety. His current challenge is learning walk without a cane so he can Tango.